Ages 10-13 — BE HOMEFUL. Students will feel more connected to individuals without homes. They will understand that they can take action to end homelessness and that they will participate in open discussion with their classmates. Someone who doesn't have a home or someone experiencing homelessness (preferred term) vs. "homeless person"
The McKinney-Vento Education of Homeless Children and Youth Assistance Act helps students without homes be enrolled quickly (without usually required forms) and lets those students experience stability by staying at the same school even when their residence is not stable. What can you do if a friend is in Sarah and Rebekah's shoes? Tell a trusted adult. Who is that? It could be a teacher, parent, etc. Their parents can call 211 for help. The McKinney-Vento Education of Homeless Children and Youth Assistance Act helps students without homes be enrolled in schools quickly (without usually required forms) and lets those students experience stability by staying at the same school even when their residence is not stable. Ask the class to make connections between the "Growing up homeless" video and the book. 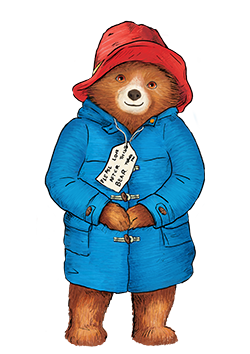 Explain that Paddington and the sisters in the video all experienced homelessness but had people who helped them through it. Ask about other ways to help people without homes (INQ 3-5.15/3-5.17). Students will suggest giving hats, coats, and toys to children in shelters. Lead them towards realizing that the best way to help a person without a home is to make it possible for them to stay housed rather than enter shelter in the first place.